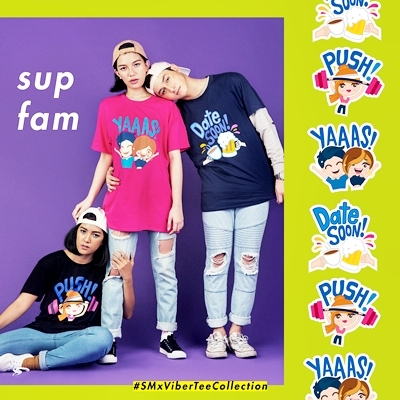 SM and Viber teams up to release Limited Edition SM x Viber Tee Collection. A collection of cool and hip tees that features Viber's signature graphic messages. Now you can express your feelings not only by using Viber stickers, but also by wearing this Limited Edition Viber shirt/tee. Local pop culture won’t be complete without a mention of SM, a brand which has redefined how Filipinos shop and have fun. Communications app Viber, on the other hand, has changed the way people connect with one another wherever they are in the world. The past years have seen the launch of many epic global brand collaborations. Though at first an unlikely coupling, these two pop culture trailblazers have come together for a fashion collaboration – a first for both. The result: the SM x Viber Limited Edition Tee Collection. 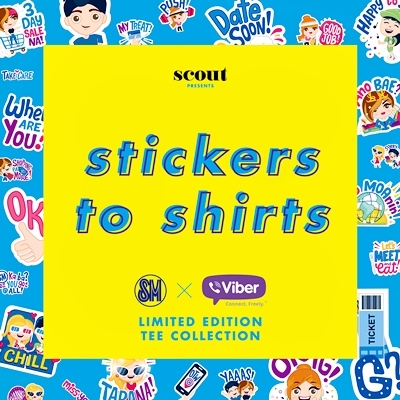 Inspired by the fun and quirky SM stickers on Viber, the highly popular stickers have made their way into 11 shirts under The SM Store’s Girls Teens Wear (GTW) line. 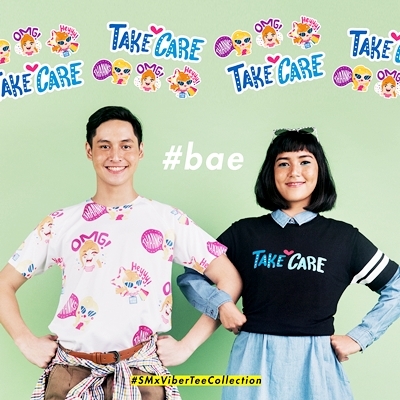 “Just like our Viber stickers, these shirts are bound to jumpstart conversations,” says Quennie Cua, Vice President for Marketing, The SM Store. “Each design has a pop feel; totally wearable and can be seamlessly incorporated into streetwear and activewear that’s in-demand now," added Jo Dy Juanco, Senior Vice President, SM Ladies Fashion. “Our collaboration with SM Supermalls brings to life the Viber stickers that Filipinos love. We look forward to our popular stickers being worn by all our users through the SM x Viber Limited Edition Tees,” adds Crystal Gonzalez, Viber Regional Head for Southeast Asia. Available in 100% pure cotton and a mix of cotton and polyester, the round neck, short-sleeve shirts come in black (cotton) and white (dri-fit). The dri-fit tees, in particular, are perfect for work-out, designed to keep you dry, cool and comfortable. With a little creativity and some smart styling, these cool graphic tees can go far beyond the classic jeans-and-sneakers pairing. SM collaborated with campus favorite Scout Magazine for a digital look book and video styled with a blend of comical cheekiness and youthful nonchalance. All looks easily wearable, charming and quirky, and introduces to the mainstream a gender-neutral aesthetic for millennials by millennials. The SM x Viber Limited Edition Tees start at P299.75 (cotton) and P399.75 (dri-fit). These are available at The SM Store in select SM malls: North EDSA, Mall of Asia, Megamall, Makati, San Lazaro, Sta. Rosa, and Manila. As an additional treat to all Viber users, just flash your SM Viber stickers to get discounts when you shop until October 15 at all The SM Store branches nationwide. You can download the SM x Viber sticker pack for free and make your Viber messages livelier and with feelings.